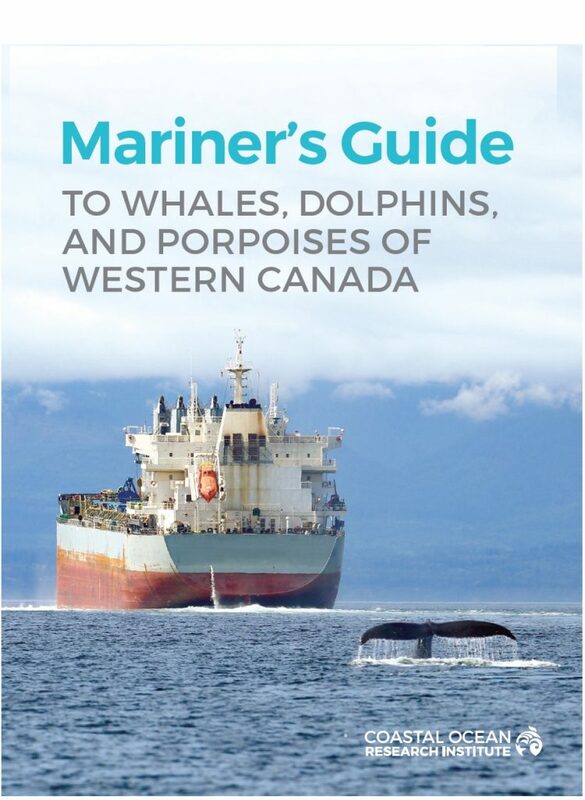 Canadians produce mariner’s guide to whales; can U.S. follow? 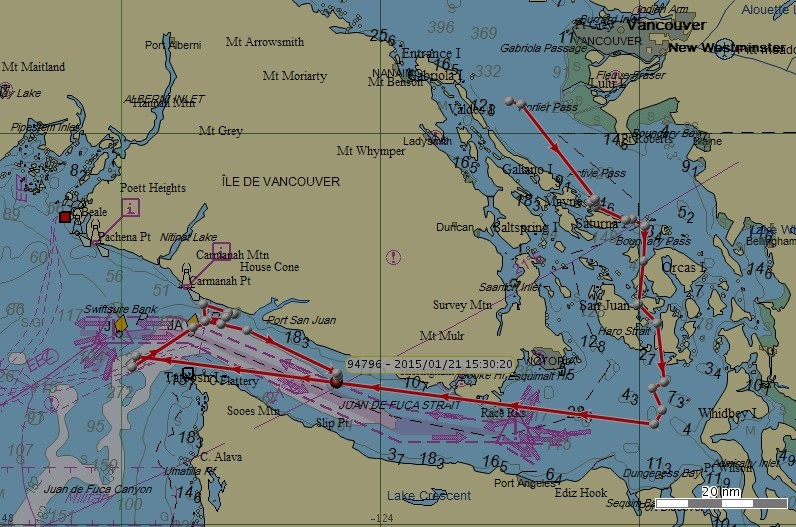 If knowledge is power, officials in British Columbia have taken a strong step to protect whales by producing a booklet that can help ship captains reduce the threats to marine mammals. 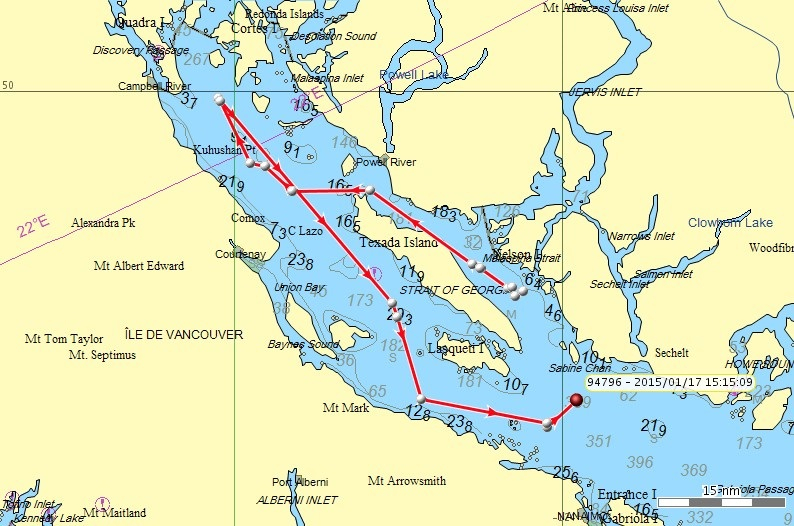 The “Mariner’s Guide to Whales, Dolphins and Porpoises of Western Canada” (PDF 39.3 mb) was compiled and published by the Coastal Ocean Research Institute, a branch of the Vancouver Aquarium. Financial support came from nearby ports. The guide is just one step in resolving conflicts between ships and whales, but it seems like a worthwhile move. If people who control the ships are willing to put scientific information into action, they could avoid cumbersome regulations along with unintended consequences that sometimes arise from political battles. “The purpose of this guide is to help mariners reduce their risk of striking and killing, or seriously injuring a cetacean (whale, dolphin or porpoise),” writes researcher Lance Barrett-Lennard in a preface to the guide. 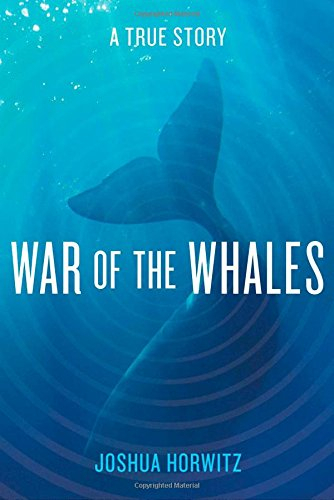 “It includes descriptions of frequently encountered whales and dolphins, locations along the coast where cetacean densities are highest, and simple measures they can take to greatly reduce their risk of striking a whale, dolphin or porpoise. 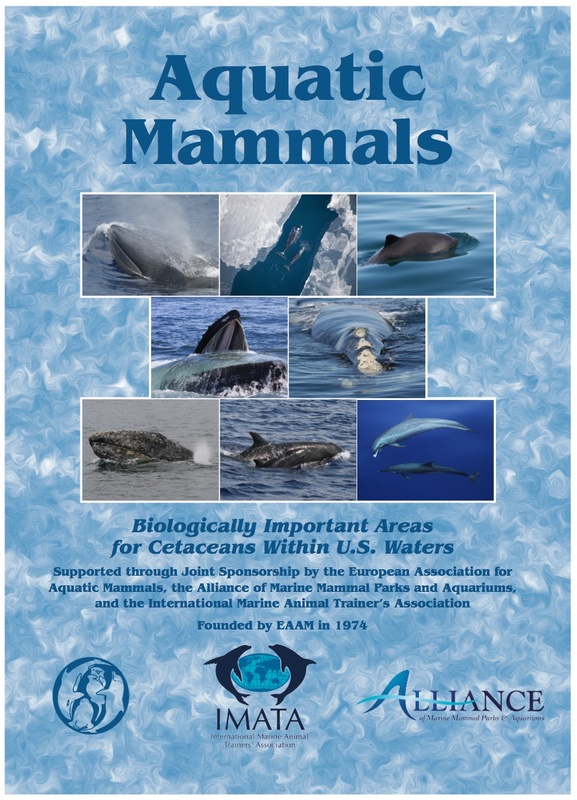 Researchers have listed more than 100 “biologically important areas” for whales and dolphins living in U.S. waters, all reported in a special issue of the journal Aquatic Mammals (PDF 22.9 mb). The BIAs may provide useful information, but they are not marine protected areas, and they have no direct regulatory effect, said Sofie Van Parijs, a researcher at NOAA’s Northeast Fisheries Science Center and guest editor of the special report. Project managers can use information in the report for offshore energy development, military testing and training, shipping, fishing, tourism, and coastal construction. 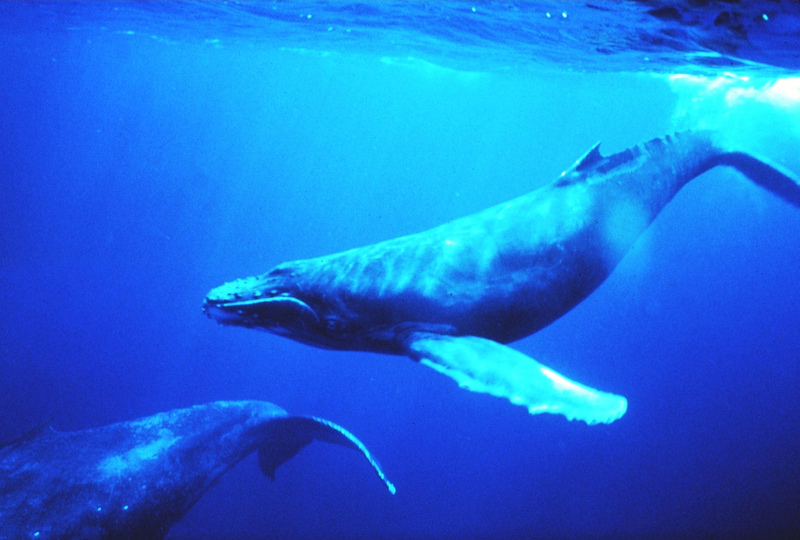 Underwater noise, generated by most human activities in or on the water, can affect large areas of whale territory. Separate articles were written about seven regions of the country, with three of them in Alaskan waters. The lead author for the West Coast regional report (PDF 4.5 mb) is John Calambokidis of Cascadia Research Collective in Olympia. The West Coast report identified 29 BIAs covering areas important for blue whales, gray whales, humpback whales and harbor porpoises in Washington, Oregon and California. BIAs for blue whales and humpback whales are “based on high concentration areas of feeding animals observed from small boat surveys, ship surveys and opportunistic sources,” the report says. BIAs for gray whales focus on their migratory corridor from Mexico to Alaska, along with primary feeding areas for a small resident population known as the Pacific Coast Feeding Group, or PCFG. This group, believed to be genetically distinct from the migratory whales, spend most of their time between Northern California and Canada’s Vancouver Island. 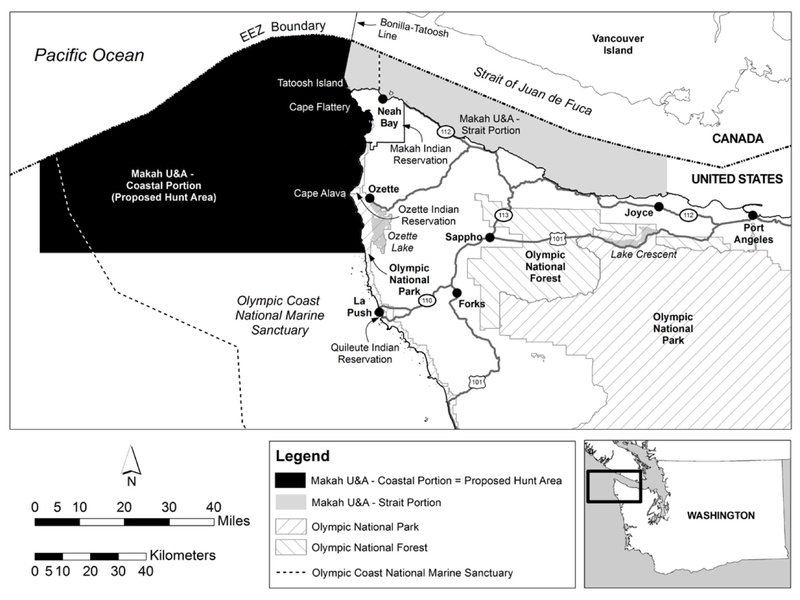 The BIAs for gray whales in Washington are around the northwest tip of Washington, including Neah Bay; in Saratoga Passage east of Whidbey Island; and around Grays Harbor on the coast. The PCFG could be a key factor in determining whether the Makah Tribe of Neah Bay is granted a permit to hunt for gray whales in Washington state waters and limiting potential limits on any hunts approved. It was interesting that the BIA report came out at almost the same time as an environmental impact statement on the Makah whaling proposal. The impact statement evaluates alternatives for whaling, including a tribal proposal to hunt up to five whales a year but no more than 24 whales in six years. Various alternatives include plans to limit hunting seasons to reduce the risk of killing a whale from the Pacific Coast Feeding Group and to cease hunting if a quota of these whales is reached. For details on this issue, including the EIS and instructions for commenting on the document, check out NOAA’s website on the Makah Whale Hunt. Returning to the study of biologically important areas, no BIAs were established for endangered fin whales, because of discrepancies between sightings and expected feeding areas and uncertainty about their population structure. The BIA assessment did not cover minke whales, killer whales, beaked whales and sperm whales but the authors recommend that future work cover those animals as well as looking into special breeding areas for all the whales. 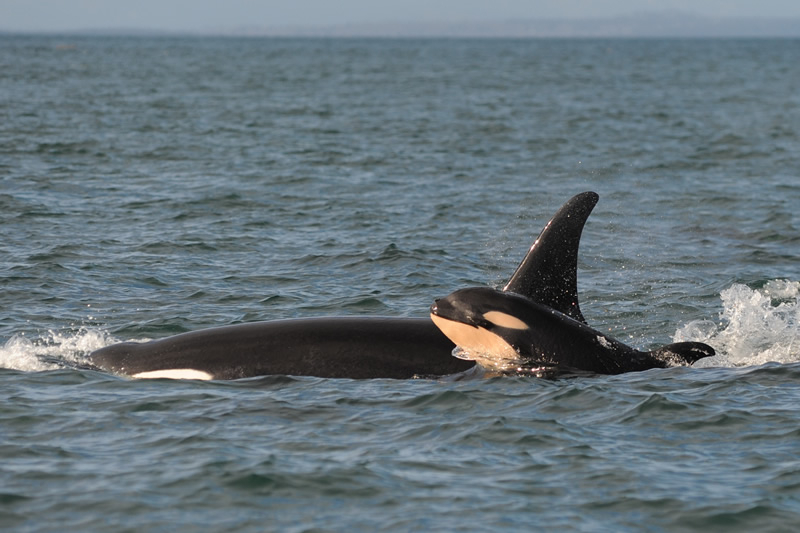 A future BIA for killer whales could have some connection to an ongoing analysis by NOAA, which recently announced that it needs more information about Southern Resident killer whales before expanding their critical habitat under the Endangered Species Act. See Water Ways from Feb. 24. Migratory corridors – Areas and times within which a substantial portion of a species is known to migrate; the corridor is spatially restricted. Small and resident population – Areas and times within which small and resident populations occupy a limited geographic extent. For the first time, researchers are tracking by satellite a group of “tropical oceanic” killer whales, a type rarely seen and almost a complete mystery to scientists. 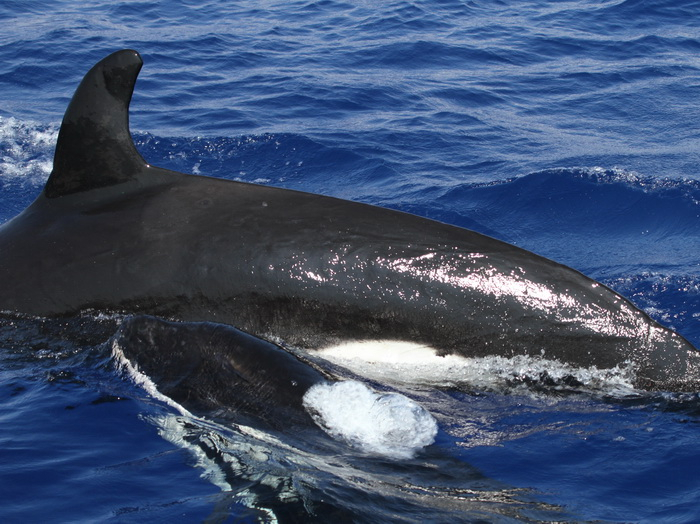 Observers with Cascadia Research locate a group of four tropical oceanic killer whales, including this male, near Hawaii. They were able to attach satellite tags to three of them. Researchers from Olympia-based Cascadia Research were in Hawaii, on the final day of a 15-day research cruise to study marine mammals, when they encountered four killer whales offshore from Kona. They were the type of orca known to roam the open ocean, but rarely seen by human observers. 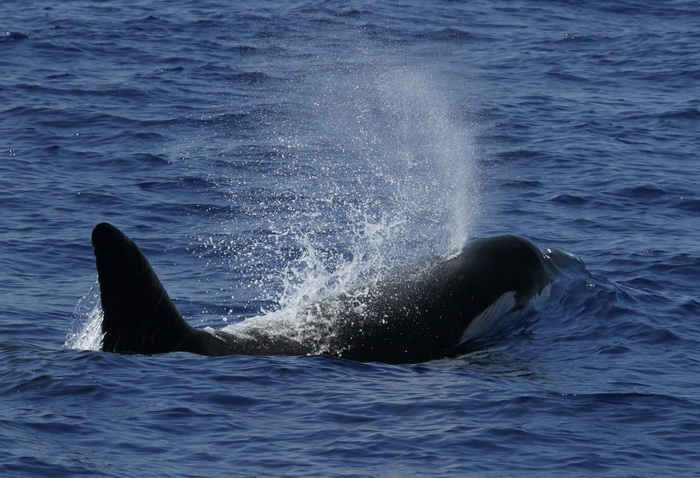 In fact, in 14 years of research work in Hawaii, Cascadia’s Robin Baird said he has encountered these tropical killer whales only three times twice before. Others have seen them on occasion, but sightings are few and far between. This time, on Nov. 1, Baird’s crew was able to obtain samples of skin for genetic work, which will help determine how closely these whales are related to other orcas throughout the world. The crew also attached satellite transmitters to three of the four whales. Two of the transmitters are still transmitting nearly two weeks later, and Baird hopes at least one will continue working for several more weeks. In warmer waters, the barbed “tags” tend to fall off sooner than in Northwest waters, Robin told me. As you can see from the map, the whales first moved west, then north, then west again. As of the latest plot this morning, they were west and slightly south of Kauai. 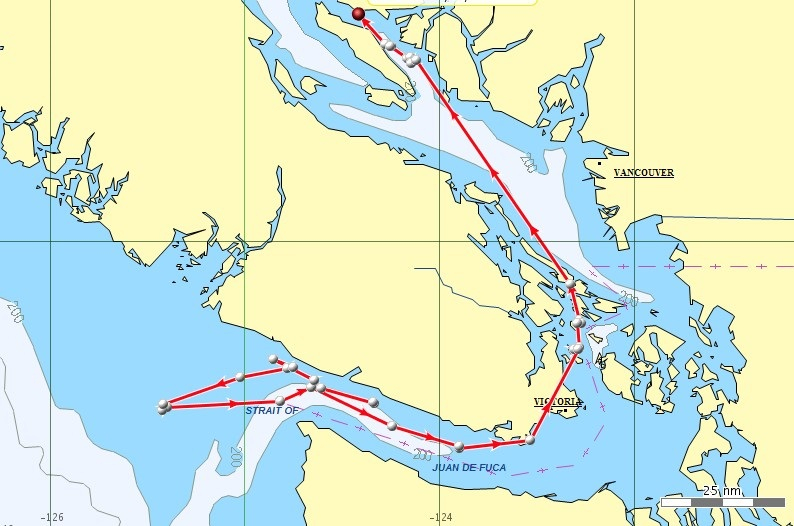 Although Nov. 1 was the last official day of the Cascadia cruise, researcher Russ Andrews and several others went back out on Saturday to find the four killer whales. 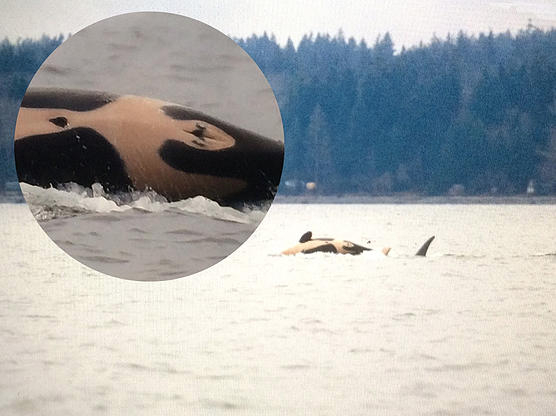 They spotted three other orcas with them. During the outing, they observed predation on a thresher shark, something that photographer Verbeck also reported. Among the tropical oceanic killer whales near Hawaii, this adult female swims with a young whale. Notice the dark coloration of the saddle patch near the dorsal fin. These tropical oceanic killer whales are smaller than the familiar resident and transient killer whales of the Northwest, Robin Baird explained. Instead of a white “saddle patch” near the dorsal fin, these animals have a gray, almost black patch that is difficult to see. These are not the “offshore” killer whales that roam miles of the West Coast, but generally stay on or near the continental shelf, Robin told me. Still, it will be interesting to see if the tropical oceanic orcas are closer genetically to the offshores, which are known to eat sharks. 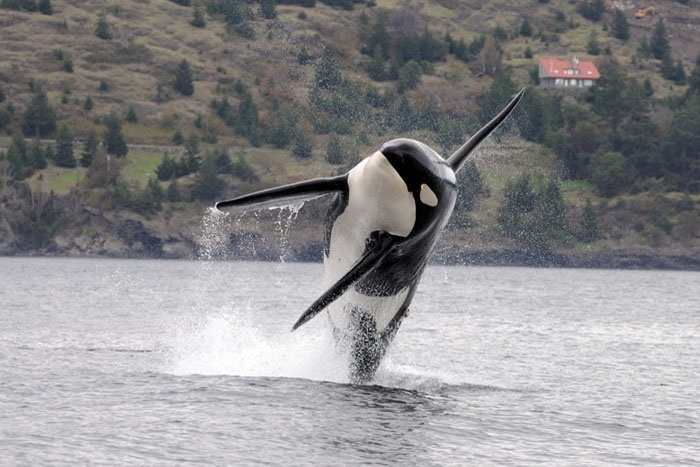 We do know the Southern Resident orcas, which frequent Puget Sound, specialize in eating salmon, particularly chinook. But Robin says whales feeding in the open ocean probably don’t encounter enough of any one prey type to be so specialized. Considered generalists, they have been known to eat squid, sharks, dolphins and occasionally larger whales. 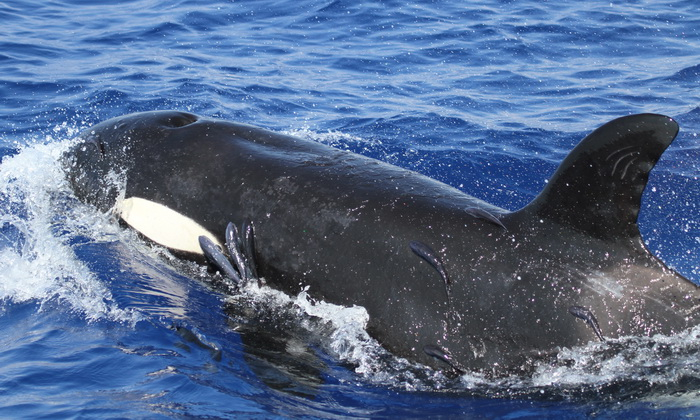 Some of the killer whales seen off Hawaii had remoras, also called sucker fish, attached to them. Experts say this is not unusual for tropical marine mammals. Robin says little is known about how they group together, because the number of photo identifications is small. Generally, the groups are five or less. The groups are likely to be families, including a female and all her offspring. This is the same type of matriarchal society found in other orca groups, although in some orca societies — such Southern Residents — one matriline often joins with others. 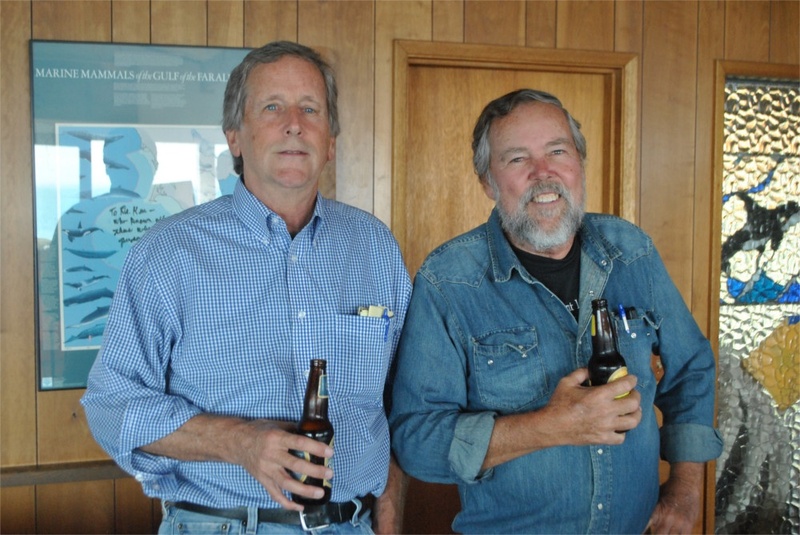 In addition to Robin Baird and Russ Andrews, the research crew on the trip included Daniel Webster, Annie Douglas and Annie Gorgone, all from Cascadia; Amy Van Cise from Scripps Institution of Oceanography and several volunteers. Even before the killer whale encounter, the cruise was considered successful, Robin said. 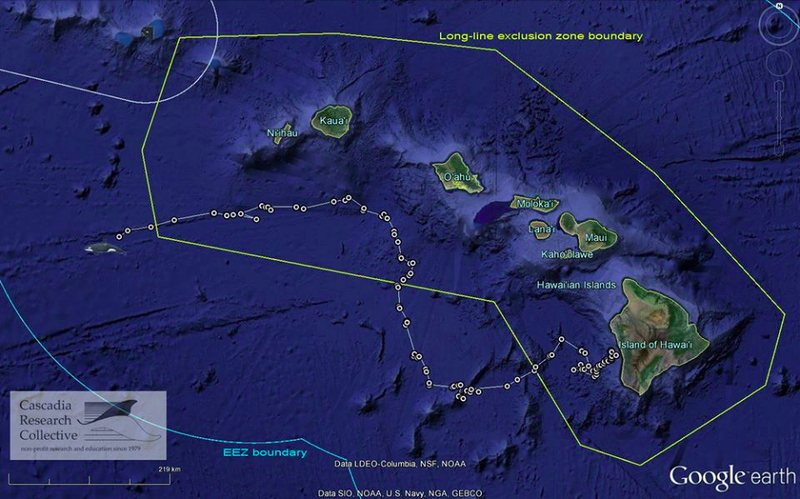 Twelve species of marine mammals were encountered, and satellite tags were deployed on six species, now being tracked. More than 40,000 photographs were taken, some of which are shown on Cascadia’s Facebook page or the project page on Cascadia’s website. If you haven’t seen it, I think you’ll be impressed with this video, which shows a bottlenose dolphin apparently asking for help from some scuba divers, who noticed the animal tangled in fishing line with a hook imbedded in its fin. Martina Wing of Ocean Wings Hawaii captured the action, which really begins at 3:30 into the eight-minute video, though the early part sets the scene with some beautiful shots of manta rays. 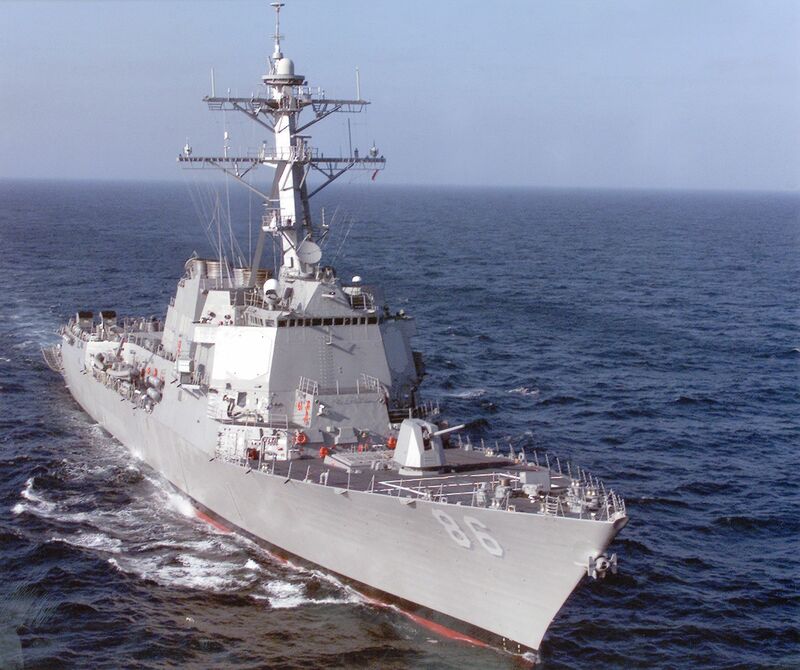 The encounter took place Jan. 11 off the west coast of the Big Island. Laros was able to cut away the line and remove the hook, and the dolphin swam away. I have been certain for over 35 years that we shared the planet with another sentient species, the dolphins, and this is just more evidence of it. We don’t have to go off-planet to find an alien species with whom to communicate, we just have to look offshore. If we cannot learn to communicate with our distant mammalian relatives, we’ll never be able to communicate with true extra-terrestrials, should we ever meet them. Marvelicious75: We use the word ‘sentient’ in a dialectic manner, but it is quite obviously not accurate. It is arrogance that makes us consider ourselves separate from ‘animals’ like the dolphin. This story isn’t truly surprising in light of the countless stories of dolphins rescuing humans. The only limiting factor is our surprising lack of empathy…. Hobbitfrdo: Sad day for the world if we stopped loving all creatures. Respect to you all. Russell Laros: The diver cutting the line off in the video is my father. He was really happy to be able to make this connection to the animal and was pretty impressed by it’s intelligence. Apparently this dolphin has been in contact with humans before, though. It has been seen and interacted with workers at a local open ocean fish farm nearby. Still really amazing though…. Misa Eniaki Amane: This dolphin is smarter than all of us…..went up for air and back down to continue with the rescue. supertekkel1: There are numerous_ ancient stories of dolphins rescuing sailors who went overboard. Whether they are true or not, it’s nice to see that we are finally able to do something to return the favor. 1Irisangel: What a blessing to have captured these moments on film. No words needed, only love and compassion for a fellow traveler on planet Earth. Wonderful capture Martina! OonaCanute: Now to get rid of all the fishing nets and lines and hooks that kill thousands of dolphins like this beauty every year. bcmom5: Awesome. It swam around until it found the right person to help it. That person and all who had a hand in it were blessed with Dolphin Medicine which teaches us to get out and breathe, explore, play. Breathe new life into your life. Awesome. 🙂 Thank you for helping and for sharing. POMPCATZ: Wonderful to watch this intelligent creature seek your help and let you finish the job after going up for air. This is just more proof these beautiful. intelligent life forms should not be slaughtered for ignorant tradition and profit. KillerinExile: Dolphins seem almost sapient. If they’re smart enough to ask for help maybe we shouldn’t be eating and abusing them like we do. starsbydaylight: … I am sure the majority of people are naturally happy to help distressed animals that keep their calm, sometimes being out of fear unreasonable while being rescued. Once I witnessed a toddler busy carefully rescue a butterfly drowning in a puddle of water. The intelligence of the dolphin and the kind manner of the diver made me cry. In fact the dolphin saved its own life…. flowerseva: This is the ‘Real News’ happening on Planet Earth! Imagine if the 6 o’clock nightly news was filled with these images and emotions – What kind of world would we then be creating? ?